For server deployments with best & latest datacenter technologies. 1. Most of the packages have been built with GCC 5 compiler, so it’s the default on. 2. Yum has been replaced with DNF [Dandified Yum] to install softwares. 4. Python 3 is now the defaulter in F22 over Python 2. 5. The installation for the Fedora 22 workloads; Workstation, Server & Cloud is almost the same and very easy to be carried out. 1. First of all, you need to create a VM with the help of a Virtualbox and download the F22 Workstation ISO image. 2. Once you have created the VM, boot it & click on Install to Hard Drive option. 4. Before beginning the installation, please click on INSTALLATION DESTINATION so can finalize the mount point and hard disk settings. 5. Click on the Red encircled + sign to add a new mount point and give the disk space as per your own choice and click Done on the top left. 6. Here is the final look of the Disk Layout, click Done on the top left. 8. Set the hostname settings here & click Done. 9. We are all set for the installation of Fedora 22, click on Begin Installation as per step 4. Don’t worry about the root password, you can set it later. 10. The installation is now complete. Click on quit & reboot the VM. Fedora is a well know linux distro which is base for CentOS and RHEL operating systems, once Fedora 22 packages are mature, they will be shifted to next level operating systems. Fedora team is getting ready to prepare next Fedora release 23 within few months. Only problem is “Go ahead and reboot to start using it” doesn’t work out that way. After reboot it begins the installation process all over again. I’ve completely deleted everything, even did a fresh install of virtualbox. 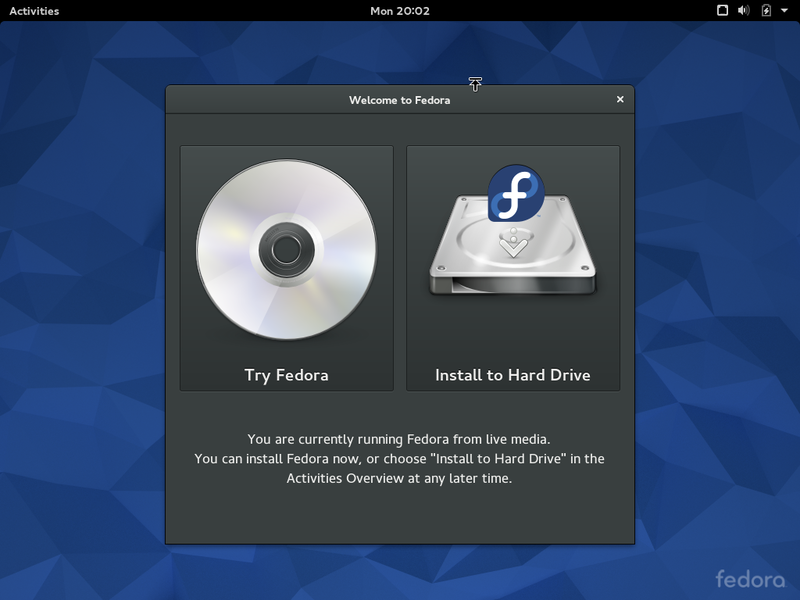 Didn’t make a difference – fedora never gets out of this install loop, it never boots the os. Have you made sure that you have set the first boot device to “hard disk” ? It appears it kept rebooting from DVD/CD ROM. I am facing the same problem. Every time after installing fedora, when I am trying to reboot the system, it start the fedora installation process again. It stuck at the installation loop. Before quitting remove the ISO from Devices\Optical Drive. Otherwise this is the same as leaving the boot disk in the CD/DVD drive. Or as Aun suggest, change the boot order. Sorry – stupid question. Where do you do this? Ah. I see now there’s like a status bar at the very bottom of VirtualBox. There’s an optical disc icon there you can select to eject the “disc”. Thanks, all.